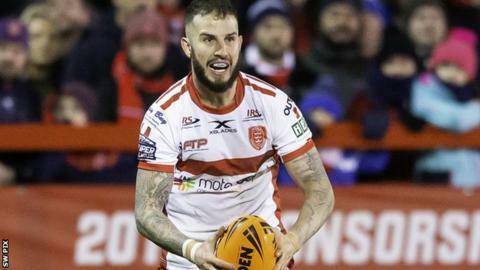 Hull KR winger Ben Crooks will be out of action for up to six weeks after fracturing a bone in his back. Crooks suffered a broken vertebra during his side's 22-12 win over London Broncos on Sunday. The 25-year-old was taken to hospital after he was injured in a tackle and failed to return for the second half. A Hull KR statement read: "The club will work closely with Ben to ensure he returns to full fitness and ready for match action as soon as possible."